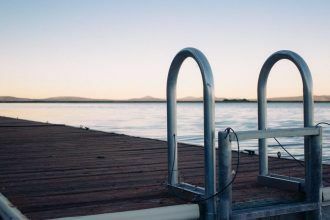 Enjoy Waterfront Living with a great selection of dock and pier accessories, floating docks, aluminum ramps and gangways, dock ladders, piling caps, boat lifts and more from Dock Accents. Coleman Bridge spans the York River connecting Yorktown and Gloucester, VA - beautiful rural area of waterfront living along the Chesapeake Bay. 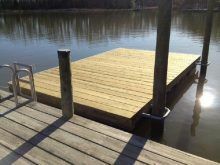 Dock Accents offers a great selection of floating dock options. You can build your own floating dock with one of our floating dock kits or have a custom dock built for you. Located in Historical Yorktown, Virginia - Enjoy walking trails, playing on beach, fishing off the pier, boating tours, and other waterfront events in beautiful Yorktown. Great Dock Products for Waterfront Living! Dock Accents offers a great selection of dock products: floating docks, dock ladders, piling caps and other dock accessories to compliment your boat dock or pier for enjoyable waterfront living! 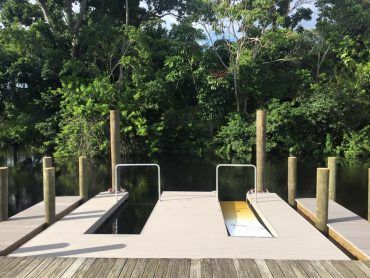 own floating dock step by step. using one of our Floating Dock Plans). 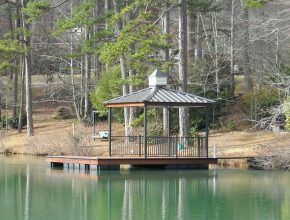 In addition, aluminum floating docks and kayak floating docks are also available. We are also a custom floating dock builder for our local customers. 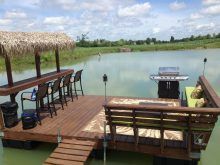 offering affordable, high quality dock products with excellent customer service. must! Call now while supplies last. Located in White Stone, Virginia – in the Northern Neck area along the beautiful Chesapeake Bay, Dock Accents offers a great selection of dock products and marine accessories to local customers as well as across the country via its convenient Web Store. We ship all across the contiguous United States and offer affordable pricing and discounted shipping rates.